The Berimbolo is the name created by Andre Galvao as a reference to a specific movement, this movement was created by Brazilian Jiu Jitsu competitors having derived from the De La Riva Guard. This grappling position requires the guard player to spin upside-down in an attempt to disrupt the balance of his opponent. 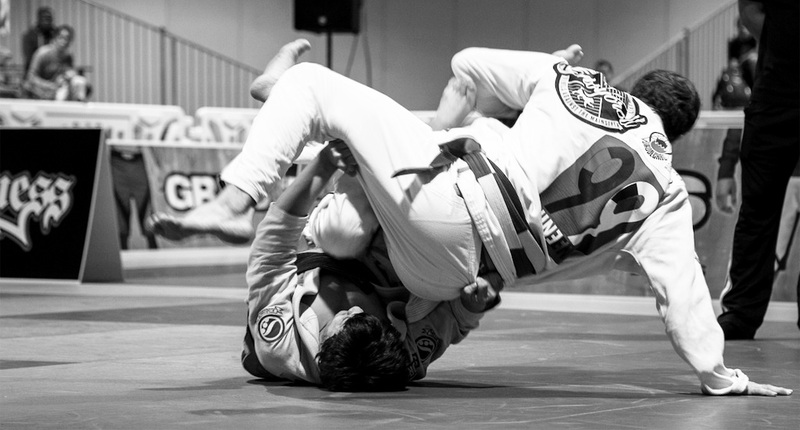 This spin will cause the guard player to either get a sweep (reverse the position) – which is usually called an helicóptero, or take control of his opponent’s back, which is a berimbolo. This position is one of the most popular trends of BJJ since its revival in the late 2000s decade, a revival led by Rafael Mendes and perpetuated by many other fighters such as Ary Farias, Joao, and Paulo Miyao and many, many others, especially in the lower weight classes of the sport. The name Berimbolo was created by Andre Galvao, it a colloquialism in Brazilian Portuguese which means ‘scramble’. Though the position is called Berimbolo, the act/action of spinning is actually called ‘Berimbolar’. How Did the Berimbolo Start? According to Tatame Magazine in August of 2012, the father of the Berimbolo was Marcel Ferreira. Around 1993 Marcel was a purple belt who trained at the famous Carlson Gracie Academy, having (like many other members of the team) the De La Riva Guard as his favorite position. One of his training partners, by the name of Eduardo, would consistently pass his DLR guard by stepping back towards the hook. This killed the effectiveness of Marcel’s De La Riva. In trying to come up with a solution to this back step, Marcel Ferreira started inverting on the hook, developing from there a sweep and a back take. Positions he would have used in competition during the 1990s, including in the first world championship (1996). Assuming the berimbolo started in the 1990s, the position stayed somewhat dormant for almost a decade in mainstream Jiu-Jitsu competitions. Its rebirth is attributed to Samuel Braga, who is seen using this inversion from De La Riva Guard at the world championships of 2005 (see below). Though Braga was the first to revive this old position, it wasn’t until the Mendes brothers started using it relentlessly to win tournament after tournament of the black belt division, that the fans of the sport and the media, became completely aware of the position. 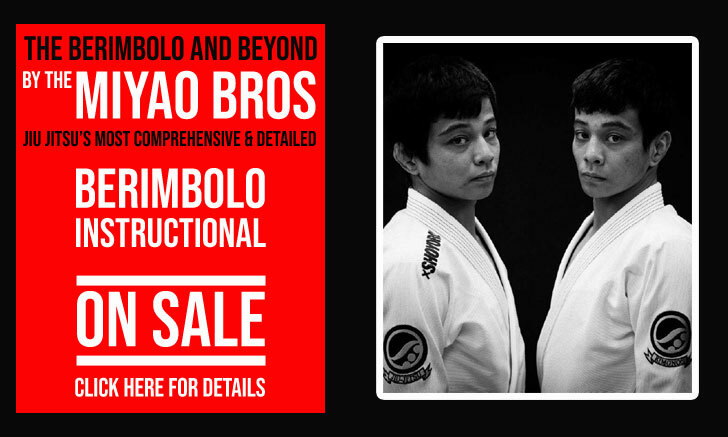 The success of the Mendes brothers relied greatly on the Berimbolo, but the Mendes brothers did not rest on anyone’s laurels and took this clever scramble to the next level, adding the leg drag to the equation, a combination that became one of the most utilized in the sport. The position was a tremendous success, but it raised the issue of the “knee reaping” rule, applied by the sport’s main organization (the IBJJF), a rule that bans locks twisting the knees. The foundation of the berimbolo begins with applying pressure on the knee with the de la Riva hook to take the back. 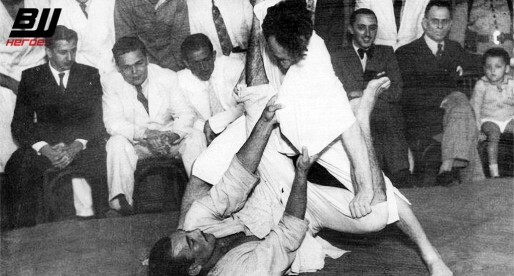 The entry to the berimbolo occurs when, to resist this pressure, the opponent sits down. If they turn away instead, a different back take is available. In order to force the berimbolo some competitors were gripping the far sleeve, preventing the turn away. This was putting pressure on the knee with little chance to relieve it. The berimbolo also used a deep underhook on the shin, which added pressure to the knee making it effectively a foul punishable by disqualification according to the federation’s updated rules of 2012. To avoid the DQ, berimbolo enthusiasts relinquished the underhook on the shin, making the position less effective, but still very worthwhile performing. Picture on banner by Jits Mag.